Q: Sea of Thieves was the first, first-party Microsoft game available on Xbox Game Pass the same day as game’s launch. The service has only continued to grow, it’s gotten to be a pretty big deal now. 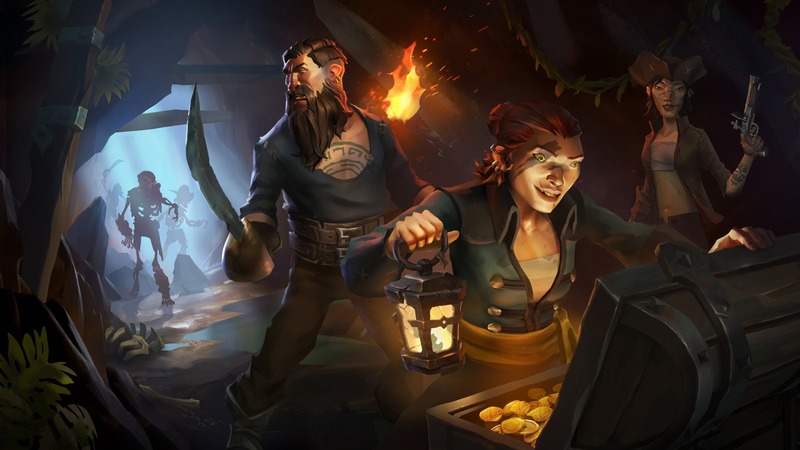 I’m curious how does that factor into the future of Sea of Thieves, and how has the success of Game Pass contributed to the success of the game? Broadly, it was just good. We saw players coming from all over, whether they were buying it, whether it was on Game Pass. It led to us at launch having the most people we’d ever seen playing our game. We’d run multiple betas and scale tests. We had about four times the amount of people on launch day and day two than we’d had before. It led to some issues in terms of the amounts of people we knew we could cope with versus what we didn’t know. We definitely had some challenges around launch. But it [Game Pass] has been great to us. It gives more people the opportunity to try Sea of Thieves. It’s a new IP, maybe you don’t want to go whole hog of buying something, but you’ve got this opportunity to try something you haven’t tried before. It opens you up to a broader audience. As Game Pass continues to grow, the most important thing for us is people continue to play our game. That’s ultimately the number one measure of success as a game and a studio. The fact that Game Pass continues to grow and Sea of Thieves continues to be one of the most played games in it, you can see that on the Xbox dash and see games by most players, Sea of Thieves is always up there around the top. We have a real mix of people, whether they are playing on Game Pass or they own it, that are playing on an ongoing basis. It just works really well for a title like us. We want to keep growing, we want to keep evolving, we want to keep reaching new players. The fact that this service will continue to grow and evolve alongside us is great. Monster Hunter: World is coming to it soon, I saw that announcement yesterday. That blew my mind. That’s great. The range of titles and quality of titles that are coming to this is incredible. It’s a great service and I’m really glad we were there as the first [first-party] title and we continue to be played and liked. Our game continues to grow and continues to improve, it’s just a good thing. It’s just great. It aligns so closely with what Sea of Thieves is and how we want to keep growing and evolving. It’s the perfect platform for us. Q: You guys really did spearhead that big Game Pass push. It’s only continued to grow from there. I personally bought two copies of Sea of Thieves, one for me and one for my girlfriend, so we could play together. I had a couple other friends who weren’t planning on buying it but I told them it was super cool and they needed to play, so they subbed to Game Pass and we all played. Half my friends owned a copy and half had it on Game Pass. The barrier for entry was so much lower. It seems like that caught on. That’s what Game Pass will do. Even me as a player, Mutant Year Zero, that kind of X-COM-esque game came out on Game Pass. Never even heard of it, I saw one person tweet about it. And I said that looks interesting, and oh, it’s in Game Pass. So I played it and it was great. It was something I never would have experienced otherwise, because I wouldn’t have made the leap to buy it. It’s great for discovering new experiences. Q: I know when Sea of Thieves launched, there were some who criticized the game for lacking variety and things to do. You had the voyages, and you just kind of did those over and over again, and of course you could fight other players. How have those early criticisms factored into how the team moved forward and approached updates and new features? We always had a plan to grow and evolve. The launch was just the beginning. We sat down, we listened intently to what people were saying. We changed our roadmap and our plans according to what came out. Sea of Thieves is unique. It’s a pretty different game. There were some things people wanted that we weren’t planning to do. We weren’t planning on doing AI ships. We always wanted any ship you encountered to be another player. That was a core tenant for us for the experience. But over time we saw a mix of players who loved going out and getting involved in combat, but their only option to enjoy the ship-to-ship combat was to engage other players and led to conflicts where people didn’t want to get involved. You have to have balance. Adding AI ships gives you that combat on demand ship stuff without negatively impacting someone else's experience. But we still want players fighting and stuff, so it’s just finding the right balance, you want that balance of experiences. It’s been quite a journey and quite an adventure the past year, but I love that whole process. I love being able to talk openly and doing the weekly videos. It’s a really healthy thing to do with our community. We have a great community with Sea of Thieves, and a lot of that is because we built up that relationship. People have given us feedback, we listen, we tell people what’s going on, we acknowledge when we mess up. I think it’s a healthy way for developers and players to work together. The most important part about a game is its community, and the better we can foster that community and that relationship, it’s one of the most critical things for a game like this. Q: You mentioned the plan was always to expand the game post-release. How far ahead did you guys have planned or mapped out what you wanted to do? It was different levels of detail. There’s a huge list of potential things we could do for Sea of Thieves but will take years. You end up planning probably the next six months in any level of actual, real detail. You kind of bite off six months at a time and move through that, you get feedback, you learn, you go again. So our plans live for six months and then they change. You learn a bunch of things, your game evolves, and then you reset. For this Anniversary update, for the past six to eight weeks I’ve been working on plans for what’s next, so that we’re ready to go as soon as the Anniversary update is released. But that all changes based on feedback. 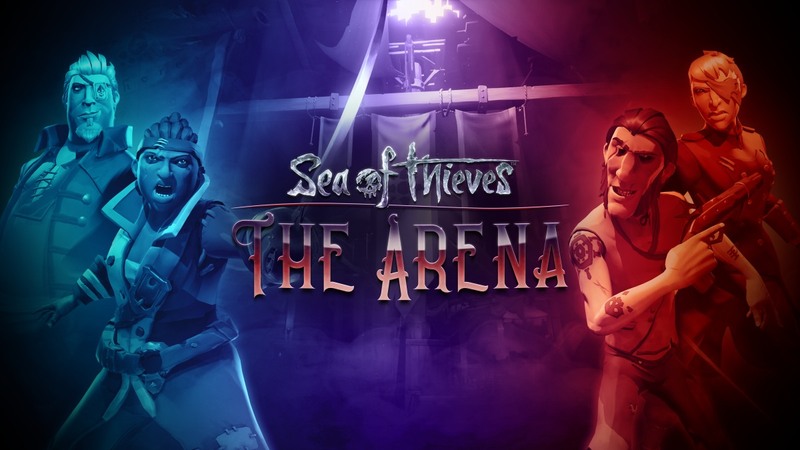 We have plans for Adventure and Arena post-release, but especially with Arena, it’s a brand new thing. How is that going to land? Is what we think is important and a priority going to match with what our players think is important? Is that right or not? We don’t know, we have plan, but until it’s being streamed and people are watching it. For Adventure, we’re releasing these Tall Tales, and we think they’re great and they’re going to work, and we have a plan to grow Adventure, but what do our players tell us, what does our data tell us about frequency of new things. Q: Are you worried that the more aggressive players who play Adventure mode right now, that they will go over to Arena and stay mostly there, potentially breaking the community up into two? Or do you think there will be a lot of crossover for both experiences? I think players will do both, depending on how much time they have available and what they want to go and achieve. I don’t get worried about it. Ultimately, if people are playing Sea of Thieves, that’s great. It doesn’t matter how. But I also think it’s our skill as a team and designers, to look at how we build things and try to avoid that as an outcome. Once we launch it, we look at what happens. With Sea of Thieves, everything we do, it’s a shared-world multiplayer game that has so much freedom, anytime you put anything in, what does it do? What player behavior does this drive? Even the Reaper’s Run voyages or the Hungering Deep when we brought people together, what interesting social things can happen? When we put this competitive mode in, it will be interesting to see if the seas calm down a bit in Adventure or not. I honestly don’t think they will. Maybe a little bit...but if you’re a bloodthirsty pirate and you want to go out there and hunt people down who are on their own voyages and steal treasure off them, that’s is still only going to be really possible in Adventure. The Arena is there and shorter, but it’s just going to be different play experiences. I think you’re going to see behavior stay pretty similar to be honest. We’ll see. And if we see player behavior changes and we aren’t happy with the changes, we’ll look at what motivations can we give to pull people backwards and forward, or things you can in Adventure this week or this month. We now have these two very unique platforms but within the same game that I think we can do some really fun stuff pushing people between. It gives us options for some cool things for players to do and reasons to come back. I think, my personality and a lot of the team here, is not about fear or worrying about change. It’s about, everything is an opportunity to learn and improve and do something different. We’re going to keep doing new and different things. I trust in our ability to react if things don’t play out like we expect. We’re good at that. We’re good at mixing data and feedback. I’m not worried about it. I’m excited to see how it lands. Q: The Anniversary update is huge. You have the Arena and Tall Tales, which is story being added to Adventure mode, and features like fishing and cooking. Was it always the plan to bundle all that together into one update? Or did it just kind of all come together at the right time? We’ve been working on both Tall Tales and Arena for awhile. But it’s about getting the experience right rather than rushing something out the door. We tried lots of different things with our content updates last year. Shrouded Spoils landed really well, creating this excitement and moment around Sea of Thieves, from a streaming perspective and the playerbase, it was awesome. It felt for us with Sea of Thieves, we have a great community and a healthy playerbase, good numbers, good sentiment, but there were some people that Sea of Thieves didn’t appeal to them at launch. Maybe there wasn’t enough stuff, or they didn’t like the freedom and the openness. Or they wanted more competition, or they wanted more story, or more guided goals. It’s a strategic thing. For our players who love the game, it’s an amazing content update. By releasing it all at once, it’s going to create a moment in time where everyone is going to be talking about our game. You’re going to be seeing videos, articles with the press like this one, it will make everybody look at Sea of Thieves again. With all the content coming in, there’s not a reason not to love it now. If it’s the story that was missing it’s there, if it was competition missing it’s there. If you played and there wasn’t enough stuff, now you have the fishing and cooking...there’s just so much more. It’s a super rich update, it will create this moment, and it will create all this excitement and interest in Sea of Thieves again. The more people playing and enjoying our game, it’s great for everyone. That’s what we’re trying to do. Q: For Tall Tales, what kind of new mechanics are being introduced? And is there a plan for introducing those elements to the wider world? I’ll be wary about revealing too many features, but it’s a series of tales that introduce a bunch of new mechanics. The stuff in the one we had press play was puzzle vaults...some of those things are being introduced. Traps is a thing you’ll see in the trailer, there’s traps on islands, so these are being introduced as part of this so you’ll encounter them as part of these tales, but then beyond that it gives us the ability to use these in future Tall Tales or populate islands with more interesting mechanics and things. It’s given us a stronger toolset for the game moving forward, but they are being introduced as part of this set of Tall Tales you experience while you follow the story. Q: How frequently can players expect new Tall Tales? It’s TBD. We want to continue to grow and improve Sea of Thieves, but finding the right cadence for that is important. I think it will probably be more frequent, smaller stuff than these big updates we’ve done the last year. The bigger an update, the more complex and challenging it is for our team, honestly. Now that we’ve got this feature rich experience that meets these different motivations, I think a more regular series of new things to do and things to engage with is a better process for players and for my team. Leading up to launch the team was working super hard, and then we just went straight into this content and on how to improve. It’s kind of been nonstop for the past 16 months. That’s why I’ve been building my strategy for the future of Sea of Thieves. Normally it’s all about the game, but now one of those pillars of strategy is sustainable working. We have to fold that in for the team so it doesn’t just feel so relentless that you can’t get your head up and focus on other things, personal growth, or whatever. We’ve got to find the right balance. I definitely think it’s going to be more regular, smaller stuff. It keeps people better engaged, there’s always something new to look for or to do. Especially now that we have the two platforms of Adventure and Arena, there’s lots of fun we can have with those together and separately. That’s kind of where we are at the moment. Q: One really cool new feature in the Anniversary update is the ability to target and destroy specific pieces of ships, like the wheel or the masts. How did those features come about and what new strategies do they open up for players? This is something we prototyped super early on. It was just complicated, it’s a big change to how things are structured. The most complex stuff is the mast, how it falls down, how all the ropes work and the sails, making sure it all looks okay so it doesn’t clash with each other. All of that was fun for our technical art team to figure out. You can shoot the capstan which will damage it and drop the anchor, it requires a lot of skill. You can do the same thing with the wheel, which makes it more difficult to steer. And if you manage to hit the mast three times, that will topple the mast over, and that affects speed and handling. If you’re trying to catch up with a ship, you can take down the mast or the wheel or capstan. Previously if somebody is ahead of you, you have no choice, you could just damage them and try to sink them. Now in battles you have more tactical depth. If your mast does get damage, you can hoist it back up with the ropes on the side, and then it takes three bits of wood to fully fix the mast. But it has to be held up in place by another crew member. You can pull it up and it will stay in place for a little bit, but if you don’t fix it it will tumble back down. The wheel and capstan, same thing, they take three pieces of wood to fix. There are actually different size holes on the ship now. Depending what happened, if you glanced off a rock or get hit by a cannonball, or multiple balls in the same space, it’s different sizes, so the time required to fix them varies. And the amount of water coming in as well, so a bigger hole fills up your ship quicker. Q: Going along with the new ship damage is the harpoon gun, which is being added to all the ships. That looks to open up a bunch of possibilities, you can shoot chests and pull them to you, you can shoot enemy ships. Are there plans for more weapons and tools like the harpoon? It seems to open up a whole new world of possibilities. Do you have more ideas on stuff to implement like that? The easiest thing in the world is ideas. It’s going and building them that’s the tough part. I think for me, harpoons is going to add incredible moments and stories. If you manage to hit another ship, you can reel that ship toward you by tapping the button if somebody doesn’t snap the rope. If you hit a person, it pulls them toward you rapidly. So you can harpoon and crewmate out of the water, or you can harpoon an enemy onto your ship, it’s funny. You can do barrels, those resource barrels you see in the water, you can grab them and pull them up and empty them on your ship. The stuff you expect to be able to do you can do. If you see a big rock, you can use the harpoon to swing around it almost like a slingshot. It’s a really cool tool. I think really good pirates and competitive pirates are going to get really good at using that. I’m not good enough with it yet. It’s funny, when we introduced it to our insiders, our test ring, there was a bug where you harpooned right on the bottom of a boat, you could flip their boat. That wasn’t as designed, but it’s all physics. There’s nothing for the immediate short term that we’re like "We have to do next." There’s other areas we want to tackle first. Things on Sea of Thieves fall into “Is this something we’d like to do for Sea of Thieves in the future,” or “Would this not work in Sea of Thieves?” And there are so many things that fall into that bucket of “Yes, there’s things we could potentially do.” But there’s other things we want to explore. Q: Will Sea of Thieves ever be done? Do you plan on working on this for the next two, three years, as long as Microsoft keeps giving you resources for it? Basically, yes. 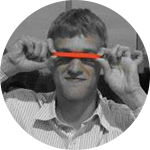 The way it works, every team [under Microsoft] is responsible for its own team and its own destiny and future. For us, we have to keep proving and explaining why we want to keep going. We manage our own business and business success. 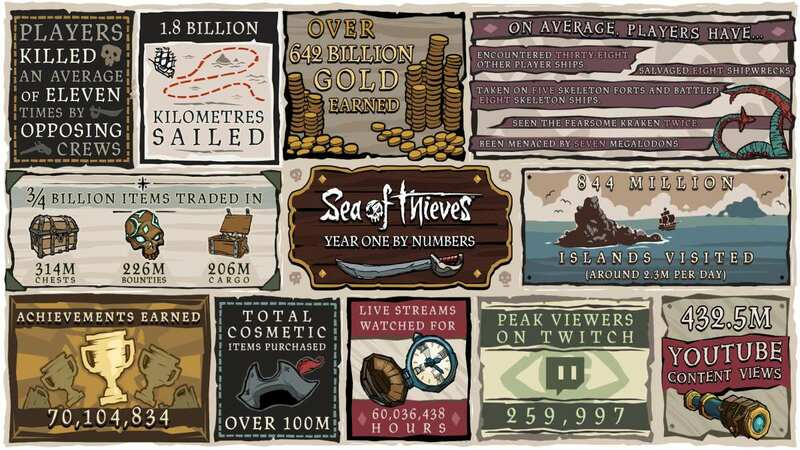 As long as people are still playing Sea of Thieves, that’s success for us, and we want to keep growing and keep evolving it, keep people loving and playing and sharing stories. There’s no end or finish line in sight. As long as people are loving and playing this game, we are loving growing it and building it. There’s no end in sight I can see. My assumption is we will continue to be successful and people will keep loving it. We’re going to keep moving forward with that in mind, because I think we’ve got something really special that people do love, and we’ve got the opportunity to go even bigger. People love to play games for years now. That’s how people play stuff. If they love it, there’s people playing games for so long across loads of different genres. We have a real opportunity to keep growing and evolving and building this incredible multiplayer pirate world with history, stories, and lore. I can’t wait to see where we get to in the future. Sea of Thieves' Anniversary update arrives April 30 on Xbox One and Windows 10 PC. For everything related to Rare's pirate adventure, be sure to sail over to the Sea of Thieves wiki.